Óbuda University participated The fifth edition of European Robotics forum as a member of euRoboticsaisbland also as a competitor of the ERF 2014 Entrepreneurship workshop, represented by DrTamásHaidegger, deputy director of the AntalBejczy Center for Intelligent Robotics. 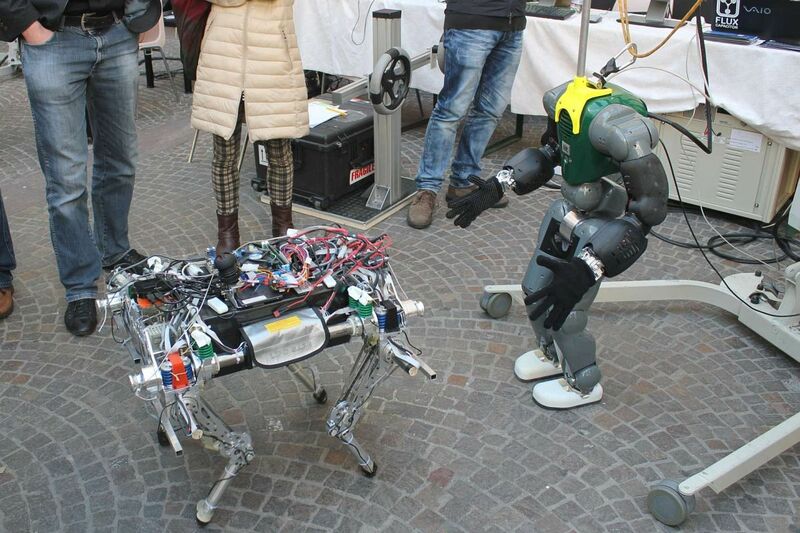 The fifth edition of European Robotics forum took place in Rovereto, Italy 12-14 March 2014, hosted by the Rovereto Museum of Modern and Contemporary Art. 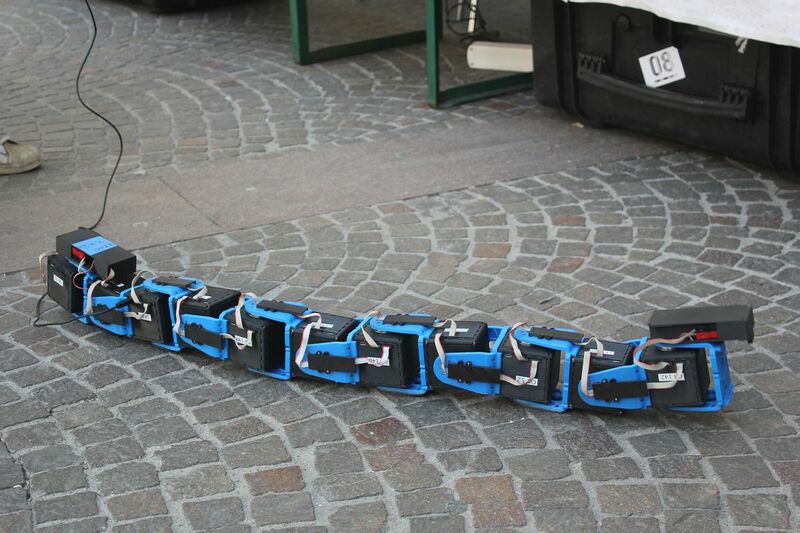 More than 450 researchers, engineers, managers and a growing number of entrepreneurs and business people from all over Europe came together.They discussed topics and contents which also have an immediate impact on the road mapping process for Robotics in Europe. 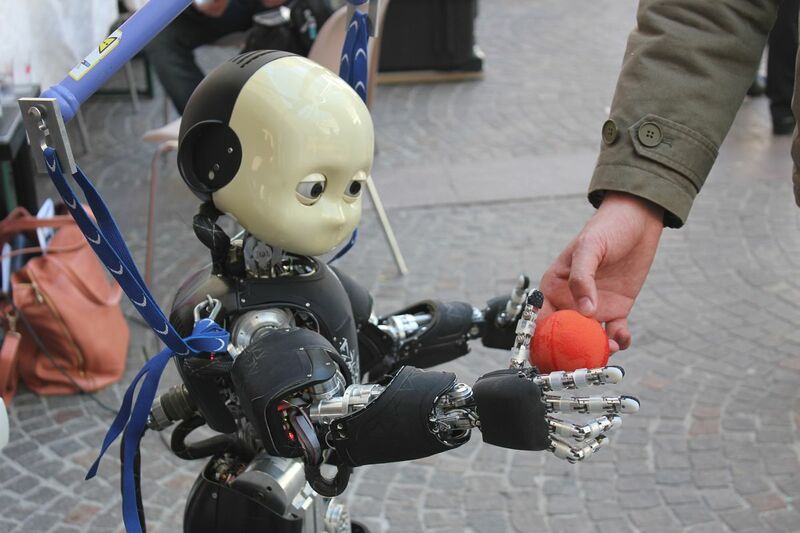 The euRoboticsaisbl, the international non-profit host organization marks this event with a high importance, being the flagship of the networking and cooperation of the European robotics institutes. The aim of the close cooperation with the European Committee and the coordination research and development projects is to help the academic and industrial partners to successful applicationswithin the Horizon 2020 EU Programme. As it was expected, the details of the above mentioned programmewere inthe focus of attention during the three-day event. Óbuda University participated the event as a member of euRoboticsaisbland also as a competitor of the ERF 2014 Entrepreneurship workshop, represented by DrTamásHaidegger, deputy director of the AntalBejczy Center for Intelligent Robotics. 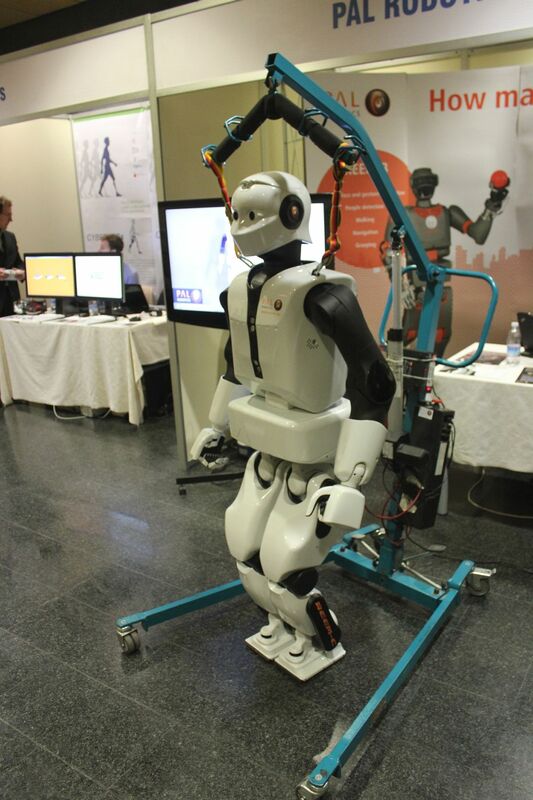 The technical program of the first day of the forum featured an introduction to the completedFP7 framework projects such as the AMARSI, the experimentation and demonstration of rich motor skills on the iCub humanoid robot , the ROBOFOOT, a robot assisting shoe manufacturing, the NIFTi autonomous robot, which has already proved its importance in post-earthquake damage estimation, the RoboSkin, a novel system of tactile sensors based on the operation of human sensing and the EFAA project, a development of robots equipped with perceptual, behavioural, emotional, motivational and cognitive capabilities. Khalil Rouhana, member of the European Commission welcomed the participants on the official opening ceremony of the aisbl. Dr. Liepert emphasized that the growing number of participants of this event and the great number of partner institutes indicates that the members not only find it important for its formal membership benefits but also for the opportunities it offers from the networking and cooperation points of views. Andrea Miorandi, major of Rovereto also welcomed all, and highlighted why this Northern Italian city was theideal choice to host the event. After the welcome speeches, Khalil Rouhana and JuhaHeikkilä held their talk on behalf of the European Committee. Mr. Rouhana addressed the importance of the robotics of today and the tools we need to maintain the leading edge technology for the future, while Mr. Heikkiläintroduced the most important details and political background of the Horizon 2020. 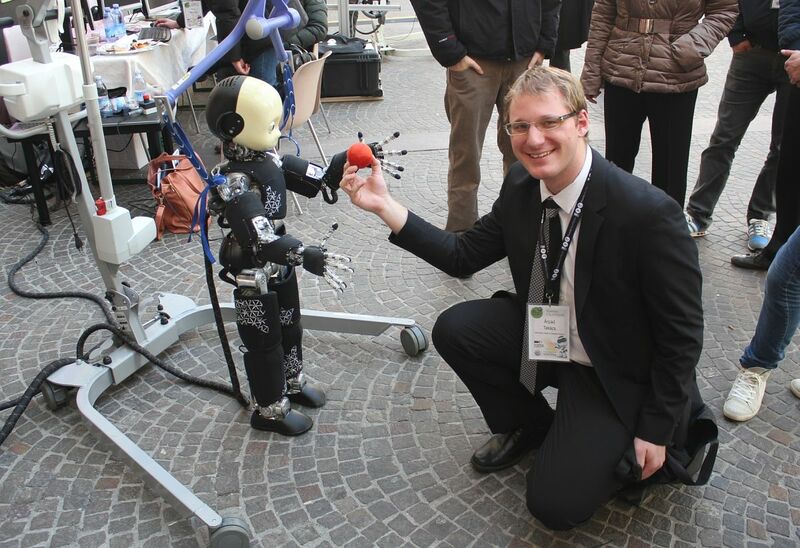 At the Forum, numerous robotics institutes, manufacturers and developers presented their work parallel to the oral presentations, where the participants were given the opportunity to try robotic hand models, play balls with the humanoid robot of the Italian Institute of Technology or view the latest innovations of PAL Robotics during this interactive presentation. People were also invited to open discussions and workshops on the most important topics of the state-of-the-art robotics such as benchmarking, questions in ethics, healthcare and assistance and dexterous robotics in manipulation systems. During the coffee breaks and lunch sessions, the participants had the opportunity to network with each other and lay the foundations of possible future collaborations, allaccompanied by the famous Italian cuisine and local wine. After the banquet dinner and the closing ceremony the guests departed with the hope of successful future collaboration.